REAL-TIME performance analysis Customers lack precise visibility into their network, making it difficult to pinpoint the exact source of performance degradation. 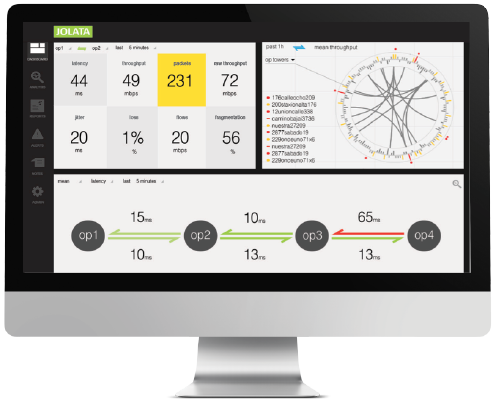 Jolata provides segment-by-segment metrics, in real-time with actual network traffic. Vendor Evaluation/comparison Customers need to evaluate vendor equipement to ensure equipment will meet performance claims. Jolata provides ability to compare equipments with actual traffic loads. 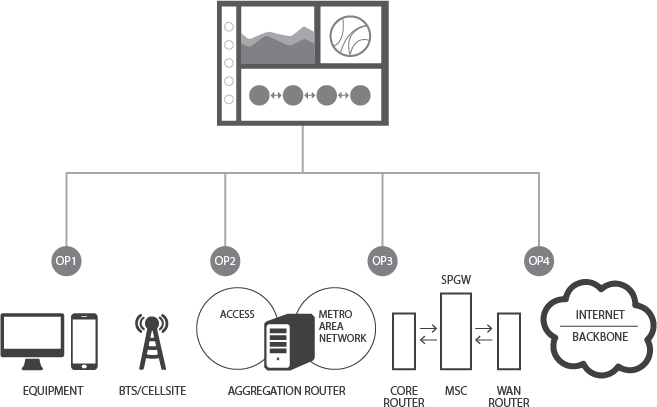 Infrastructure optimization Customers need to future-proof their network due to traffic mix change. Jolata enables operators to confirm whether current infrastucture will meet future expectations. Jolata Meters The data plane consists of a set of Jolata meters placed at different observation points (OP) that capture, time stamp, fingerprint, and match packets on the networks.  Analytics Engine The analytics engine aggregates the data stream, learns and analyzes traffic patterns and behaviors, and alerts network operators when there are problems. Visualization The user interface visualizes the precise network metrics in real-time, and enable operators to quickly drill down and perform root cause analysis.